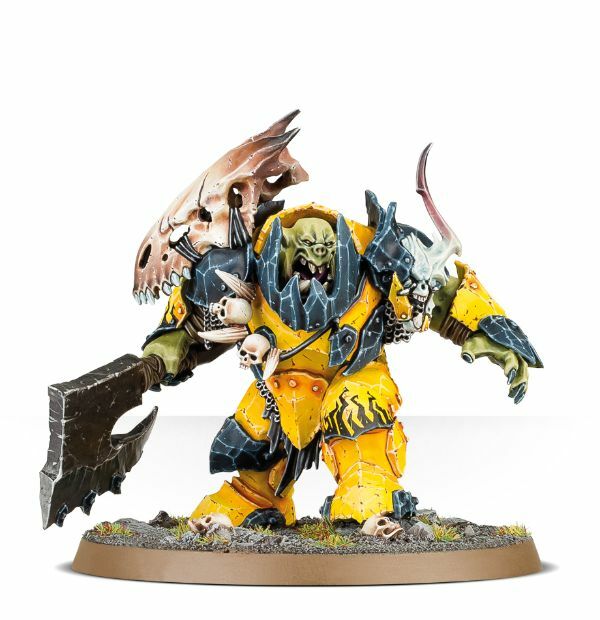 To Orruk or not..that’s the question! This is not a full on review but my biased opinion and where I’m at. All images courtesy of Games Workshop. No intention of violating anything beyond giving my personal take on the so far most exciting release for AoS in my opinion! Well why not just spill the beans as I love them, I really do! As of writing the bundle I’ve borrowed the picture from is temporarily out of stock. Which is a blessing truth be told as I really want to wait and see what happens with Ogors but especially Grots. I’d really like to do a proper grot army with all kinds of fungus and squigs but…bah I’m losing the thread again.. 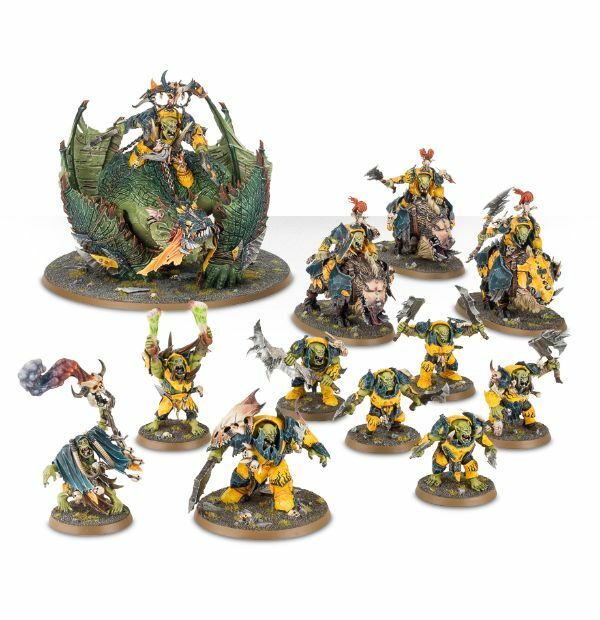 The new orruks look and feel like a wall of muscle and my experience with AoS so far I think they’re worth their salt actually. I also think I could really do something cool with my painting style on them. Look at that monster. That right there is the best monster released for AoS and even GW for I don’t know how long. It’s fantastic and I haven’t heard anyone not liking it (which would be freaking weird BTW). 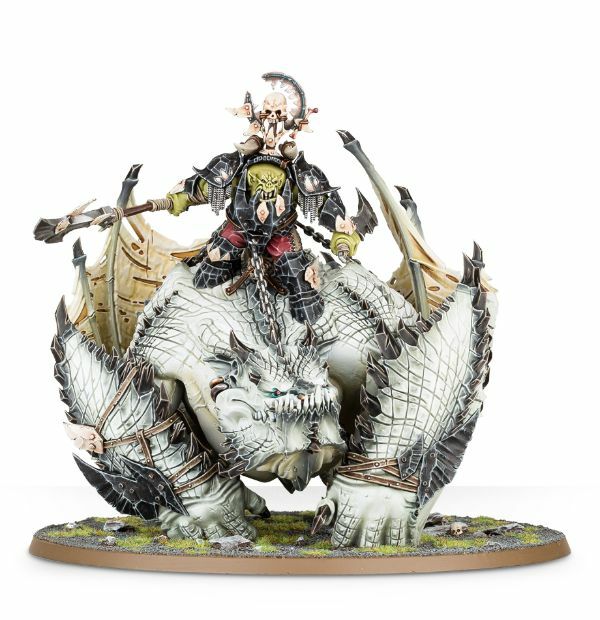 Challenge though is that this miniature has the same problem as almost all of the “character riding monster”. The rider plays second fiddle. But I honestly don’t mind in this case. This guy is positively massive and he should be! I think this will be the staple greenskin warlord basis in any system. A surprisingly good character. 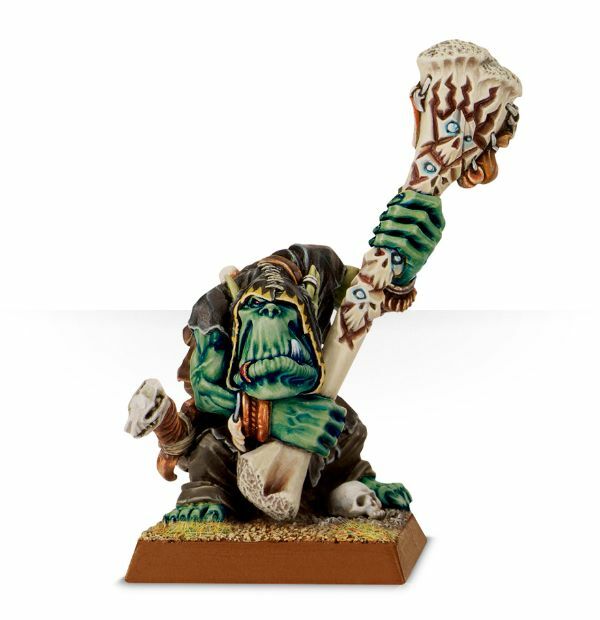 Actually I’d go so far as calling this the best shaman model I’ve seen for greenskins excluding Grots. 8/10 as he’s still too weedy. Eh..WTF just happened?! This one is just weak and the worst of the new lot. 2/10 as I like nothing here beyond the face. I know a lot of guys hating the new “boars” but this is another one of my favorites. They basically took the previous one which was good and then ramped up the crazy by 10 notches! 8/10 and I’m hoping for chariots! Another great unit and probably the one that will get more options for weapons down the line like Stormcast. Basically a repacking of the old ones. They’ve never been favorites of mine TBH but I can see their role here definitely. 6/10. No creativity here but good value at least. 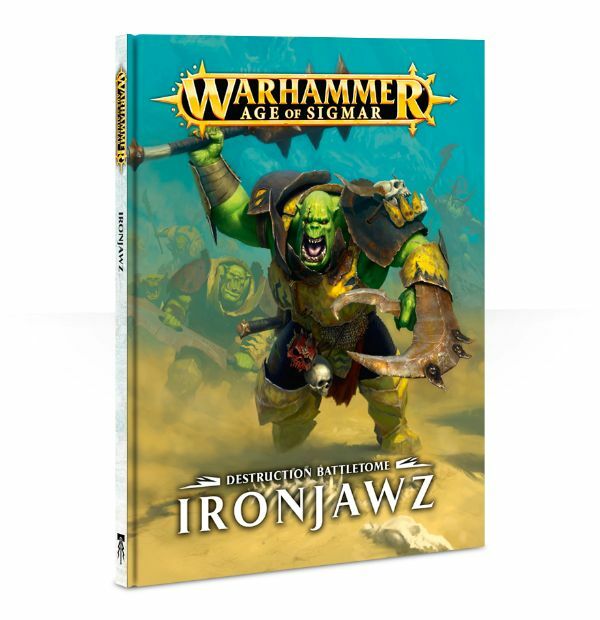 All in all this is imo the best release we’ve seen for AoS – and I ain’t saying it as a greenskins fanboy nor just because I’m tired of khorne and Stormcast releases 😉 We’re legitimately seeing where AoS is going now and it’s simply put refreshing and very exciting! 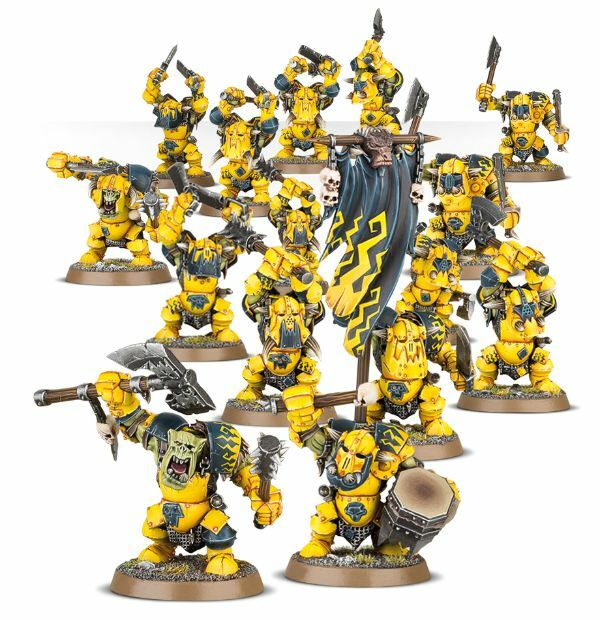 Beyond AoS I also think these guys could make a fantastic base for Feral Orks in 40k. I have to agree with you Red, this is a really strong release. I’m planning on adding a few Brutes to my orruk pirates, as hard hitting elites (converted a bit if course!). I just wish there was a Shaman rider option for the Maw Krusha! 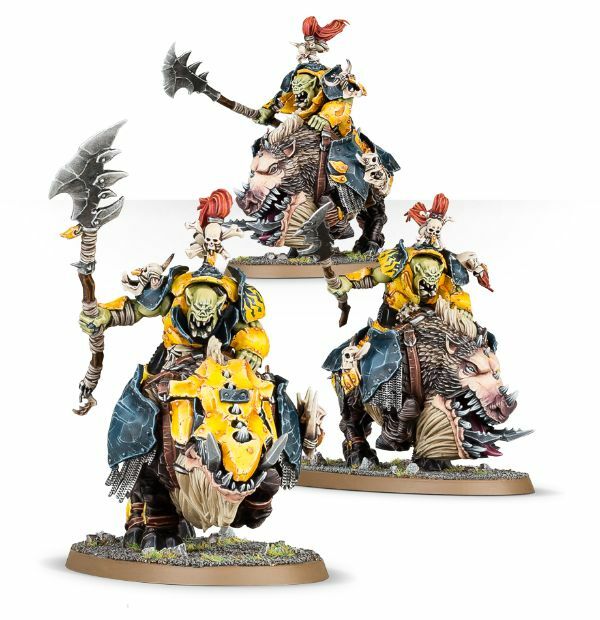 Spot on mate – the 40k potential for most of these is very exciting… I’m most fired up about the possibility of a feral tribe of baby-bantha riding Orks for Rogue Trader – I think those new boars would work nicely as Star Wars-esque alien riding beasts! I know if I ever got some I would look at Fallout 4’s Super Mutants as a visual painting inspiration. Need to google that apparently! They have a more realistic olive green skin tone as well as lots of vertigris and rust on their mismatched armour. Sounds right up my alley. My orks are quite light skinned with a green-/brownish tint. That big Maw beast looks something from “Where the Wild Things Are”. Hadn’t thought of that but I see it now as you say it. I hope I didn’t ruin it for you. Not at all! Haven’t you seen my Doombull? Yeah, it’s brilliant (and a true Wild thing!). Cheers 🙂 but as far as orks or orruks in this case go I feel no one straddles the balance between the serious and the comedic as they do. Great post! I love the Orruk release. At first I wasn’t taken but after scrutinising the images I think it was just another case of the GW paint-job masking awesome figures. I saw a post earlier today on Facebook, may have been on the Warhammer World page or AoS page. It was a picture of the Megaboss and some behind the scenes info on the creation of that figure. It was the first of the Orruk range sculpted by Brian Nelson, he took the imagery from the last Orc releases (the boarboyz specifically) and took their armour to its logical conclusion building upon it until a full suit of armour was created in a matching style. I think it’s fantastic, you can really see the evolution of the Orc range to the Orruk range. I agree that the Warchanter is probably the weakest of this release, but it has some potential for conversion. It makes me giggle that the massive Black Orcs of WHFB are the little guys for this faction. I think these models are fantastic. When i first saw them and their expressive faces, I thought that they almost had to be done by Brain Nelson. He was the one that really created what the modern GW orc is. And I love the orcs because of him. No one has been able to sculpt orcs like him. The newer 40k plastics have been good. Seb Perbert and others have done a fairly good job of emulating his style, but they are not the same. 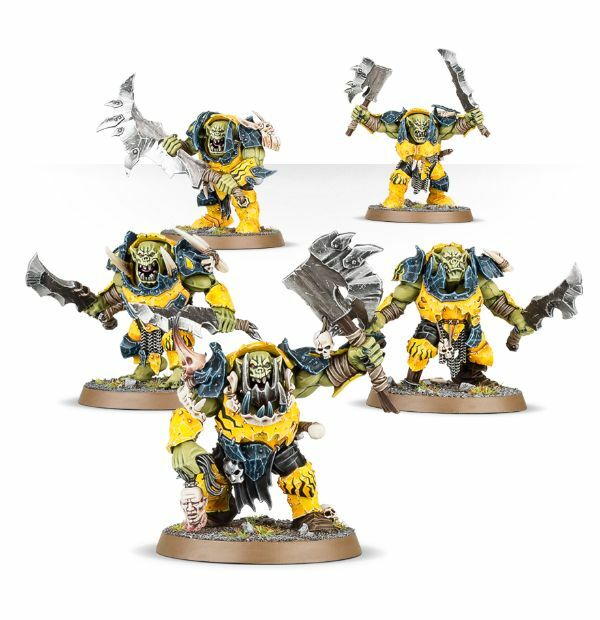 These new orruks just screamed Nelson to me. Today, I learned that at the very least, Nelson sculpted the Megaboss. This made me immensely pleased. based on the faces on the other models, he certainly at least had a hand in all of the rest. nelson always had a great sense of scale. The human skulls on the models being a good example. He took pains to make the skulls be the size that they should be compared to the orcs. As for the warchanter, I would say that it is my least favorite of the bunch. But after getting a 360 view of the model, it is very well sculpted. Good proportions, great face. I just think the idea is a little dumb. Holding up those horns and all. So, I don’t think it is a bad model, per say. I heard Nelson approached it by taking basis from the last boar boys and then developed the armour into a heavy plate and the final incarnation. Makes sense and I think that’s why it just comes off as so good. 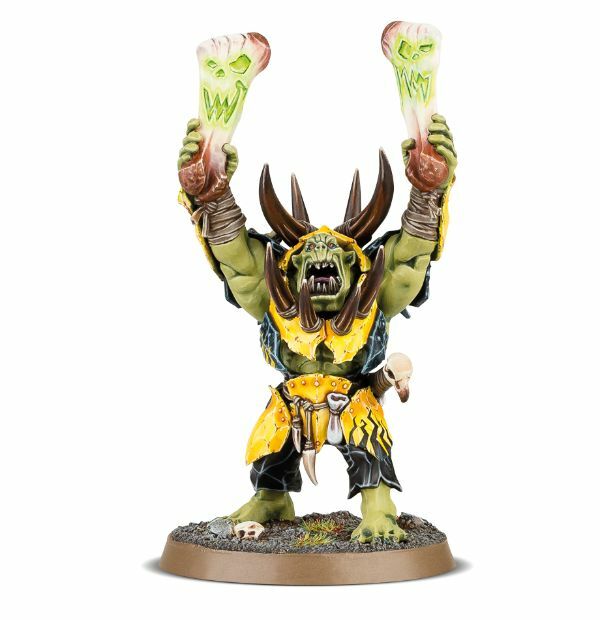 Don’t get me wrong, I have no doubt the Warchanter is well sculpted but the pose and those big bone drumsticks don’t sit well with me. It also feels different to the others. The Nob shaman has a better visual link to the others than the Warchanter. Yeah, the pose and the bone drumsticks are pretty stupid; I agree. I love the shaman. It really looks like it is contorting with WAAAGH! energy. The energy just barely contained in his frame. 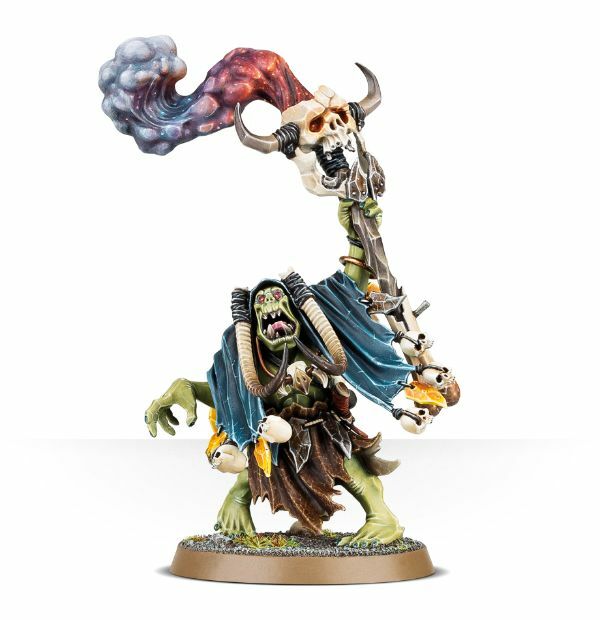 The shaman reminds me of the good old weirdboys that where in metal – those prior to the new generation of orks. I actually have one of those in my O&G army. Man, BBRS, you I know I love you and your amazing conversions, but…really? Compared to this guy? New one ain’t bad, but it’s no contest in my mind. Aye I stand by it 🙂 I really like the ones prior, when they had more flat faces and the nob shaman reminds me of them. I’ve had the one you linked there since release but I’ve never found a use for him as he didn’t gel with me.